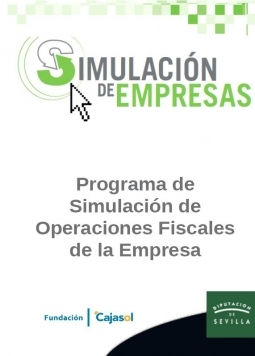 * ESTE PROGRAMA CONTEMPLA EL DESARROLLO DE ACTUACIONES DE FORMACIÓN TEÓRICA – PRÁCTICA, A TRAVÉS DEL ENTRENAMIENTO QUE OFRECE LA APLICACIÓN AGENCIA TRIBUTARIA SIMULADA QUE GESTIONA LA AGENCIA DE SIMULACIÓN DE PRODETUR, ASÍ COMO ACCIONES DE INFORMACIÓN Y ORIENTACIÓN LABORAL. * EL PROGRAMA TENDRÁ UNA DURACIÓN APROXIMADA DE 2 MESES, EM NOVIEMBRE Y DICIEMBRE DE 2017, DURANTE LOS CUALES LAS/OS PARTICIPANTES RECIBIRÁN UN TOTAL 130HORAS DE FORMACIÓN TEÓRICO – PRÁCTICA SOBRE GESTIÓN CONTABLE Y FISCAL (120HORAS), E INFORMACIÓN Y ORIENTACIÓN LABORAL (10 HORAS) DISTRIBUIDAS EN JORNADAS DE 5 HORAS, 5 DÍAS A LA SEMANA. * REQUISITOS: FORMACIÓN MÍNIMA GRADO MEDIO EN ADMINISTRACIÓN Y GESTIÓN O SIMILAR. * MÁS INFORMACIÓN: OAL CENTRO MUNICIPAL DE FORMACIÓN INTEGRAL (MARISA MARTÍNEZ). C/ CAMINO DE MARRUECOS, S/N. EDIFICIO HYTASA, CARMONA. TELF: 954190093, EXT. 2060. E-MAIL: marisamartínez@formaciónyempleo.org.